Beagle and Wolf was born in 2015, when Beagle Books & Bindery and Sister Wolf Books combined. Sister Wolf was founded in 1994 by Mary Kay Watson, whose goal was to create a community center for book lovers. Sister Wolf soon became known for its excellent selection of books, book discussion groups, and special events. In 2004, Sally Wizik Wills and Bob Wills purchased Sister Wolf. 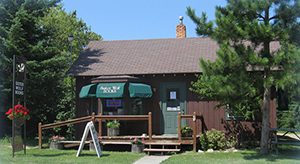 The store was located in Dorset, just outside Park Rapids, for 20 years. Jill and Deane Johnson, with inspiration and help from their beagle, Kallie, opened Beagle Books in downtown Park Rapids in 2001. In 2007, the Wills purchased Beagle Books. Their daughter, Jennifer, managed the store. Jen began offering bindery services a few years later and the name of the store was changed to Beagle Books & Bindery. After 20 wonderful years in Dorset, change was coming for the Wills and for both stores. 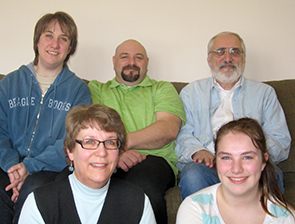 With Bob retiring in May of 2015, the family decided to combine the stores in the Park Rapids location. The physical move was made in the fall of 2014, with lots of behind the scenes work over the winter. The Grand Reopening was celebrated over Memorial Week-end, 2015. We look forward to the future with great anticipation! On August 4, 2018 we were on Facebook live, sharing the store and bindery.